How to shorten the life of the minority Tory government and force another election? That was the question before the Croydon Assembly, which was meeting to discuss the outcome of the June 8 poll and the surge in support for Jeremy Corbyn. The Tories may have lost their majority but they are still in government doing serious damage as they continue with their austerity programme. 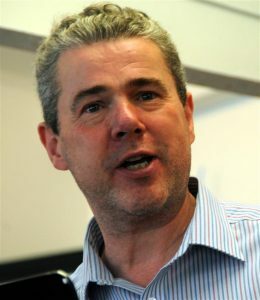 That was the context in which Mark Serwotka, general secretary of the Public and Commercial Services Union, addressed the opening session. He warned that the Tories would try and stay in office for as long as possible with the support of the DUP before they called an election under a new leader. 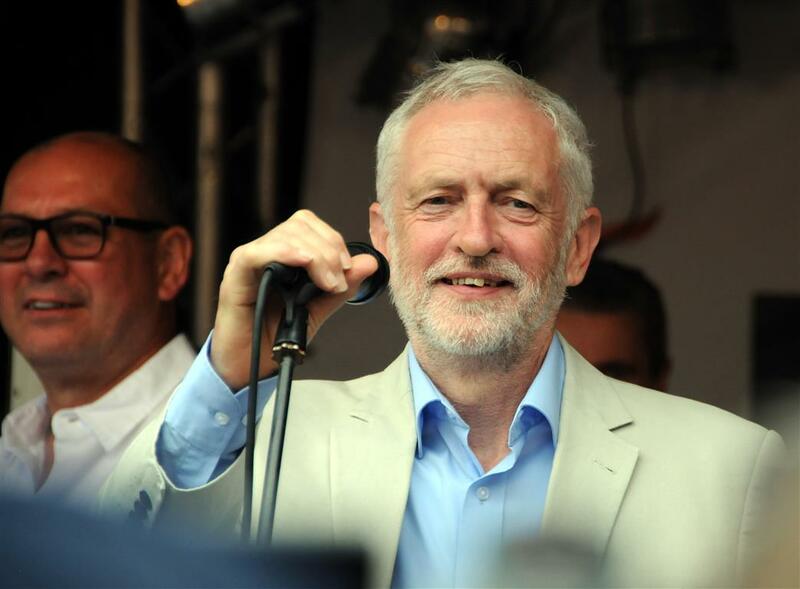 The movement that propelled Corbyn close to power could not rest on its laurels. 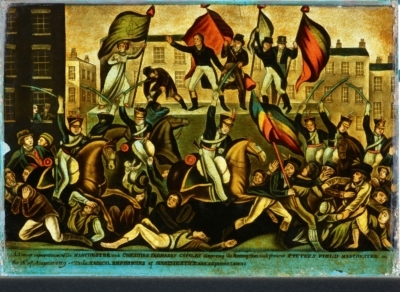 He called for the demonstration planned for July 1 to be “enormous. But there was only a start, Serwotka emphasised. People would be inspired to go back and start campaigning and organising in their communities. Union membership, he warned, had now fallen to 5.5 million from over 6 million recently. The best way to turn that round was to campaign against zero hours contracts, public sector pay, privatisation and austerity. Serwotka said that the mood in the TUC changed “dramatically” the week after the general election. The TUC has called a protest in Parliament Square on July 17. The TUC has also agreed to step up its campaigning with events right throughout the country. It is also looking at having co-ordinated industrial action. Serwotka said that big national actions must be underpinned locally, with actions over local services. “If everywhere when you turned the news on there were hundreds of people with banners, saying ‘this is what’s wrong and this is what Jeremy Corbyn would actually fix’, it will build a momentum. There will come a point when most people realise that May going and the Tories going is an inevitability and there is a government in waiting. 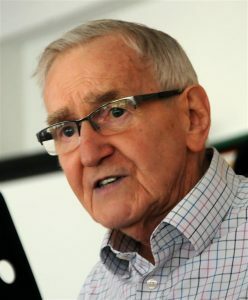 Ted Knight, the chair of Croydon Assembly and former surcharged leader of Lambeth Council who fought Tory rate-capping in the 1980s, said the government had no mandate or authority. He warned that the Tories would pursue a Brexit that favoured the corporations and the financial markets. “Jeremy Corbyn and John McDonnell are right. 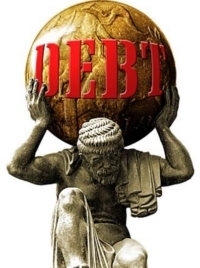 The government must go. A new general election and a Labour government is needed.” He rejected the calls by Labour right-wingers for joint ventures with the Tories over Brexit. “The social movement has got to mobilise additional forces to bring the Tories down. For the march of July 1, John McDonnell has called for a million people on the streets. That’s good. Let’s get a million people there – but also we don’t want a situation where at the end of the march we go home and leave it at that. 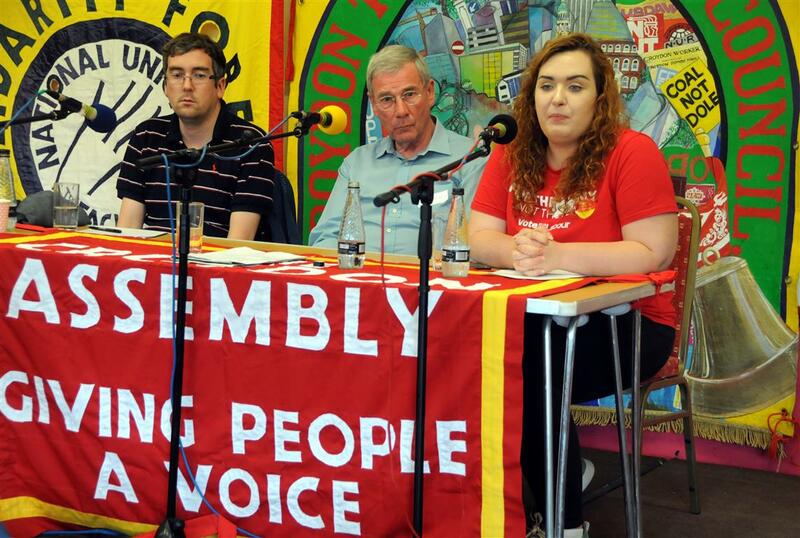 What we require is a continuity of struggle as a result of that march.” Before the Assembly began, a video message from John McDonnell had urged those attending to campaign against the Tories and be ready for a Labour government. Ellen Clifford of DPAC said that young people in particular, “know the BBC for what it is and don’t need the mainstream media. When they get involved, they feel empowered and have agency. The Justice for Grenfell Tower demonstrators marched all the way from Westminster to Kensington. Everyone was cheering us – the feeling was that we are powerful and can change things”. 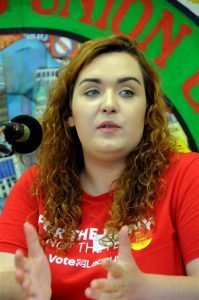 Croydon Momentum organiser Caragh Skipper said campaigning had achieved the highest-ever majority for the Labour Party in Croydon Central. The turnout of 71% overall with 85% in Woodside ward was down to the campaign by Labour Party members, not just by Momentum. 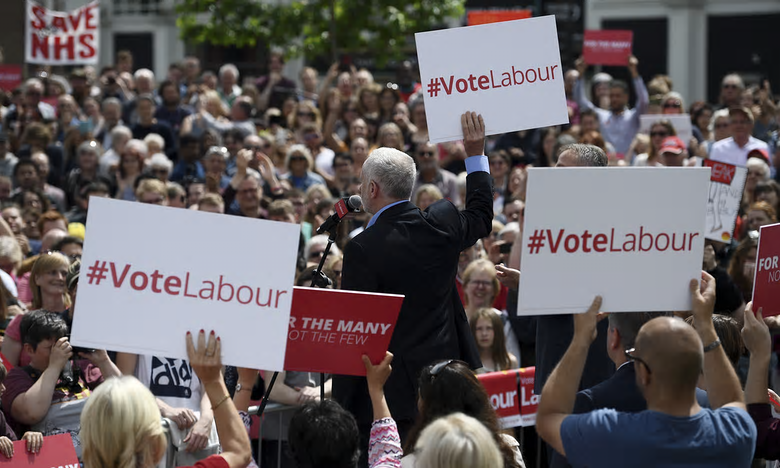 Thousands of new and old members from all over London had flocked to Croydon, galvanised by the “My nearest marginal App” and inspired by the vision in the Labour Party manifesto. Kevin O’Brien of Merton and Sutton TUC said that a democratic revolution was needed, because there is still an establishment out there. Joe Flynn, local NUT activist, told the Assembly that his union’s campaign against spending cuts in schools had helped make education a major question in the election, pushing it up to number three in the list of issues people were most concerned about. Local government researcher and writer, Sean Creighton said that snatching Croydon Central from Gavin Barwell was a major victory. He denounced Croydon’s £1bn Westfield development scheme as an “obscenity”. Croydon’s planning chair, Paul Scott, was obsessed with meeting housing quotas regardless of other aspects of Croydon’s plan. “There is too much faith in developers, and the council itself has become a developer, granting planning permission for new blocks across the Green Belt. 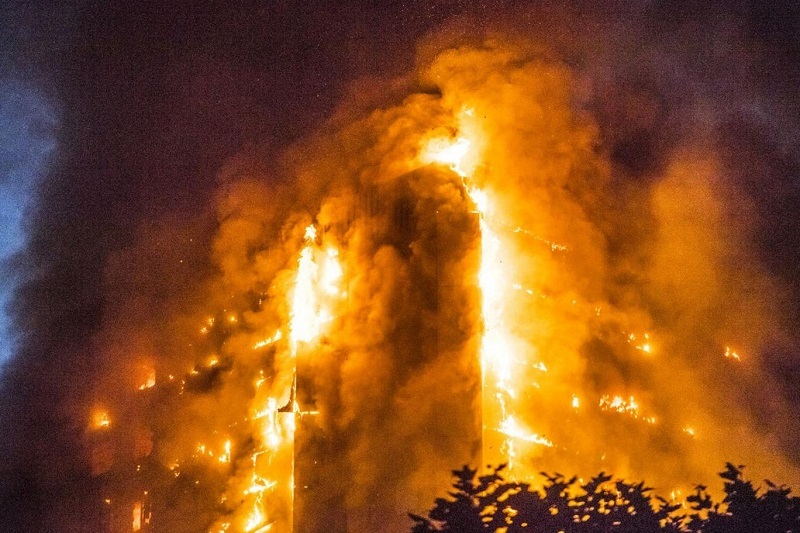 The Grenfell Tower fire has thrust the issue of housing for ordinary people into the spotlight. 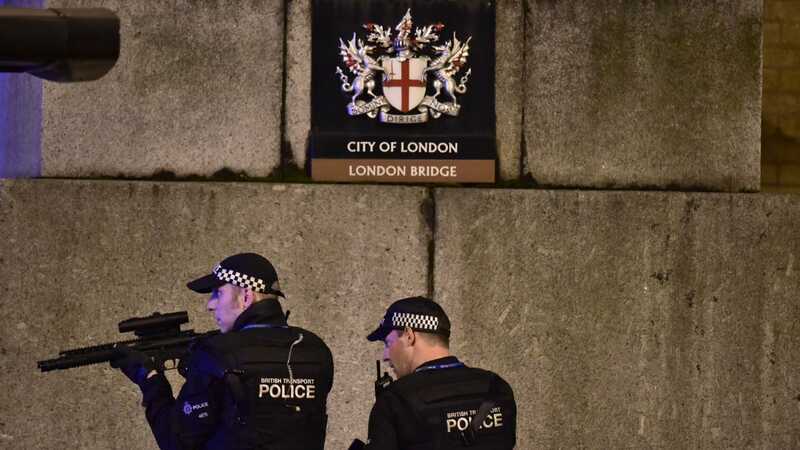 Luxury flats should be requisitioned, “ Creighton said. 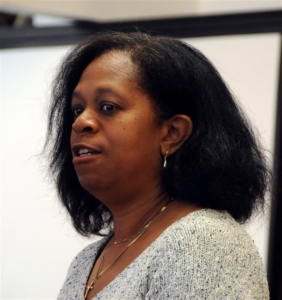 Patsy Cummings, who has been working in Corbyn’s office, described herself as British-Grenadan-European-Catholic-African. She said that two million people under 25 years had registered to vote: “Young people now believe they can make a difference”. 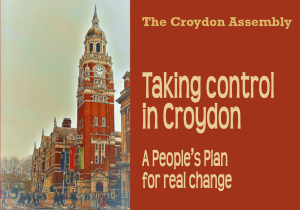 Ted Knight closed by saying that The People’s Plan for real change – Taking Control in Croydon was the Assembly’s contribution to developing Labour’s manifesto. Overall, the response of the 6th Croydon Assembly was to support and develop campaigns locally, especially around education, to contribute to the effort to remove the Tories from office before too long and that doing nothing until the next general election was not an option.